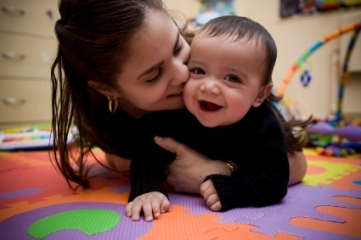 Northern Manhattan will be home to the very first “Young Moms Conference” this September. The event is being organized by Carolina PIchardo, one of the cofounders of Young Urban Moms (YUM), a blog devoted to young mothers in the NYC area. I asked Pichardo to tell me how this conference came about. A young mom herself, Pichardo said she always wanted to display a side of young mothers that has never been demonstrated before. She also wanted to provide a place for young moms to get together. A keynote speaker is expected to be announced in coming weeks. Other things to expect at the conference are workshops on various family topics presented by area organizations; wellness tips and panels by The SPEACH and Healthy Kids in the Heights; and sessions with A Young Mother’s D.R.E.A.M, a nonprofit whose mission is to assist young/teen moms in completing their education through a one-on-one mentorship program. And, by the way, according to YUM, there isn’t a strict age limit on who qualifies as a “young mom.” So if you can relate to the topics on their site, you’re a young mom. End of story. You must register in advance. Visit the YUM site for information on how to register and to learn about the conference cosponsors.